YO-58 — Four aircraft with a 65 hp (48 kW) Continental YO-170-3 engine. 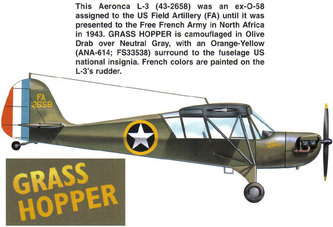 O-58 / L-3 — production order of 50, most used for training in the US. 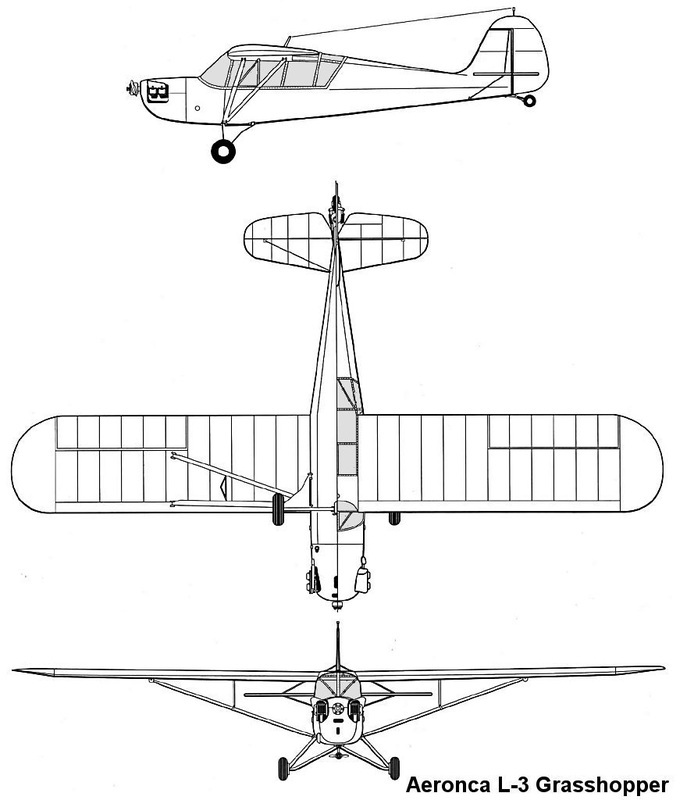 O-58A / L-3A — Fuselage widened four inches and extended greenhouse canopy. 20 built. 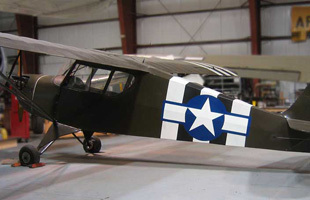 O-58B / L-3B — Modified canopy and additional radio equipment. 875 built. O-58C / L-3C — As O-58B/L-3B but with radio equipment removed for use as trainer. 490 built. 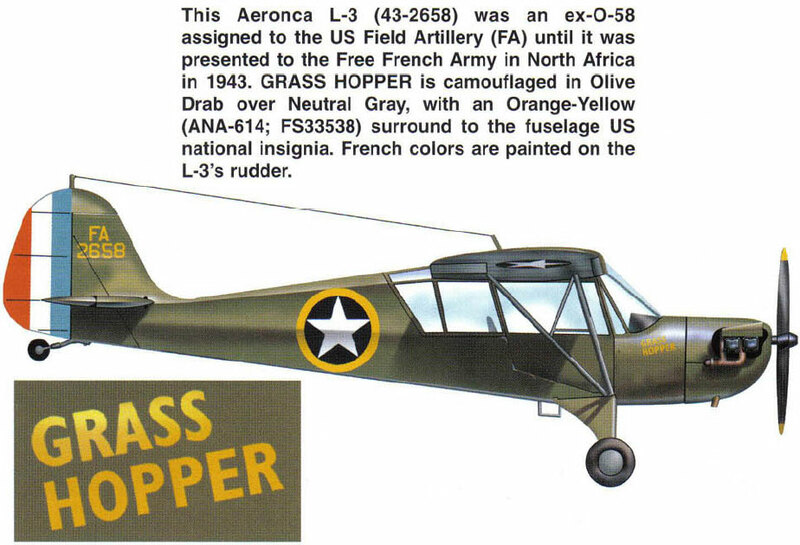 L-3D — Aeronca 65TF Defender. 11 aircraft impressed. 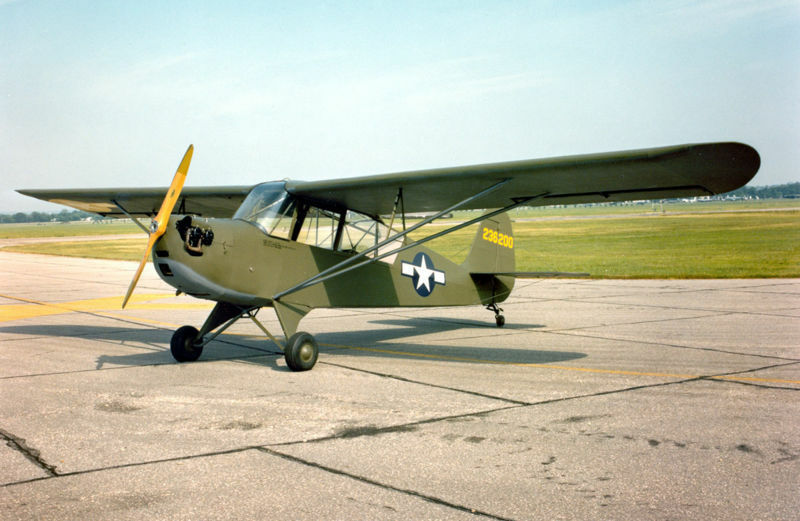 L-3E — Aeronca 65TC Defender. 12 aircraft impressed. Continental engine. 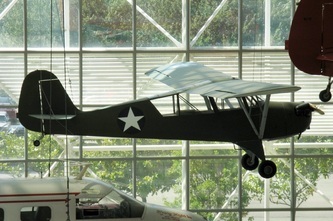 L-3F — Aeronca 65CA Defender. 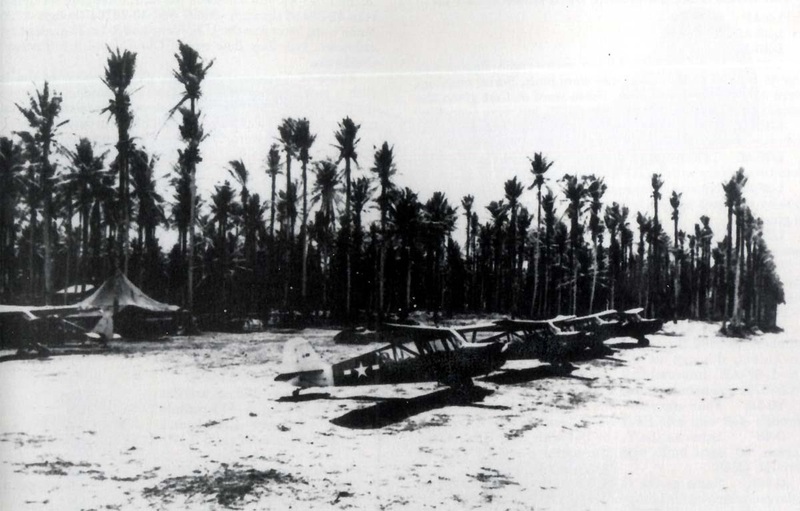 19 aircraft impressed. 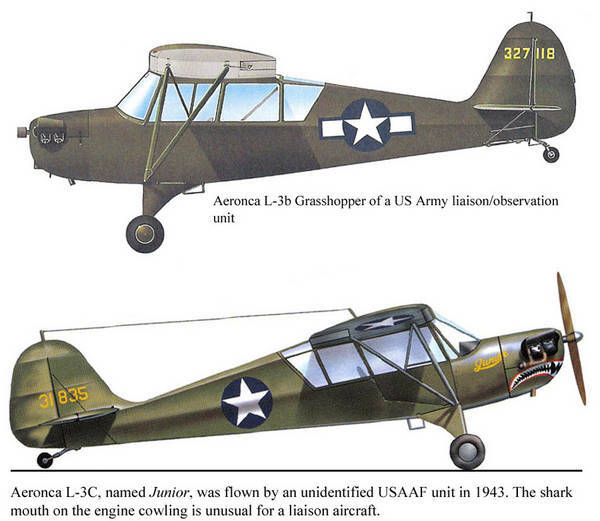 L-3G — Aeronca 65L Super Chief with side by side seating. 4 aircraft impressed. Lycoming engine. L-3H — Aeronca 65TL Defender. 1 aircraft impressed) Lycoming engine. 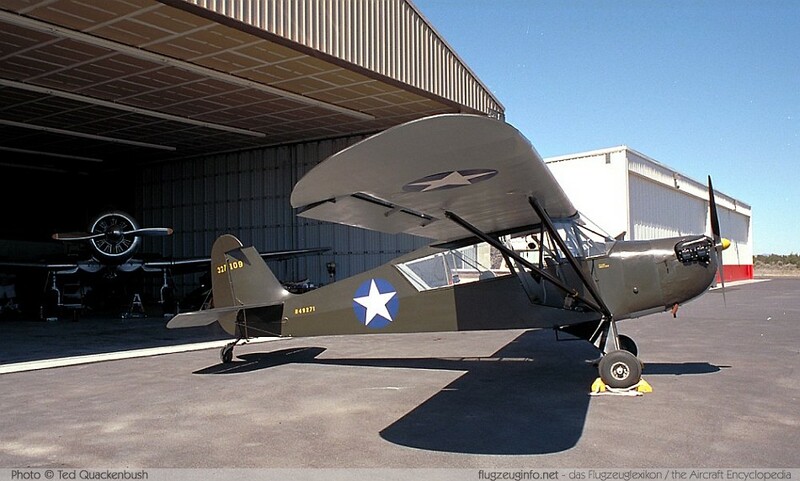 L-3J — Aeronca 65TC Defender 1 additional aircraft impressed. Continental engine. JR-1 — Three L-3Cs supplied to the US Navy. TG-5 — 250 were built as training gliders for the USAAC. 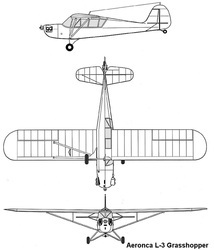 TG-33 — TG-5 converted for prone pilot. LNR — Three TG-5s supplied to the US Navy.